« Easy A: Win double pass movie ticket! 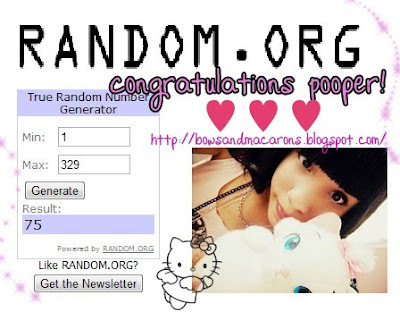 There was a whopping 329 entries as many of you chose to do a lot of the optional entries ^-^”!! But unfortunately only one of you can win ..and that person is ..
Don’t feel down if you didn’t win anything! Btw. Don’t forget to enter the competition to win movie tickets to see Easy A !